It’s an iconic event known throughout the world. 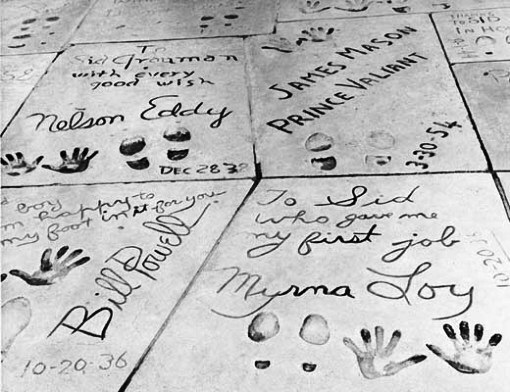 For the past 85 years, only the biggest stars in Hollywood have been immortalized with their hands and feet in cement at Grauman’s Chinese Theatre. But NBCLA has discovered a critical piece of Hollywood history is missing from the theater’s famous forecourt. The original footprints that started it all have been hidden for decades. In fact, not even the company that owns Grauman’s Theatre knew about these potentially priceless footprints. Instead, Olaerts gave the slabs to his friend Larry Buchanan, an airplane mechanic who put them in storage at his airport hangar east of Los Angeles. Over the years, Buchanan and Olaerts have tried numerous times to sell the slabs, Buchanan even at one point put them on eBay.